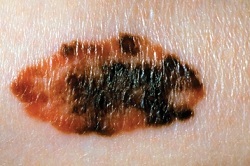 Around 132,000 cases of melanoma occur globally each year, according to World Health Organization figures, as well as between two and three million non-melanoma skin cancers. One in every three cancers diagnosed is a skin cancer, and melanoma rates are on the rise. Now researchers from the Cleveland Clinic in the United States have found a four-month delay in treatment can increase mortality rates by around 40%, compared with those treated within one month. The research, published online in the Journal of the American Academy of Dermatology, indicates that the sooner patients are treated, the better their survival, particularly for stage I melanoma. Using the United States’ National Cancer Database, the Cleveland Clinic team studied 153,218 adult patients diagnosed with stage I-III melanoma from 2004 to 2012. They found that overall survival decreased in patients waiting longer than 90 days for surgical treatment, regardless of stage. In addition, the delay of surgery beyond the first 29 days negatively affected overall survival for stage I melanoma, though not for stages II or III. Compared to patients who were treated within 30 days, patients with stage I melanoma were 5% more likely to die when treated between 30 and 59 days; 16% more likely to die when treated between 60 and 89 days; 29% more likely to die when treated between 91 and 120 days; and 41% more likely to die when treated after 120 days. Patients with a longer time to treatment initiation tended to be older and male, and have more comorbidities. According to the authors, from Cleveland Clinic’s Dermatology & Plastic Surgery Institute, it is likely that more advanced cases represent delays in diagnosis, and these delays overwhelm the impact of a speedier treatment. However, in early-stage cases, early diagnosis allows for the opportunity to improve the chances of survival with a prompt surgery. Although many physicians follow a rule-of-thumb to treat melanoma surgically three to four weeks after diagnosis, there is no official recommendation on time to treatment.